Your church might not have the budget or the staff to do the extras, but that’s okay. You can do what matters. 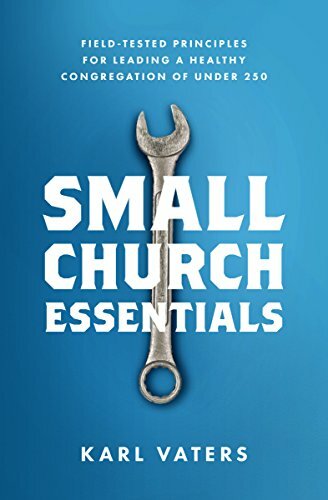 There are so many great tools available to churches today. From social media, to audio and video tools, to cool giveaways for first-time guests. But none of that matters until you’re doing the essentials well. This week I went to a restaurant with a large group of people. When the server took our order she didn’t write anything down. She said she could keep it all in her head. She didn’t get the order right. And she wasn’t available later when we needed something. And the food wasn’t great (not her fault, but still...). Not having to write down the order will impress people for a moment or two. But what’s even more impressive (though less noticeable) is a server who gets the order right. And serves great food. And is available when needed. There’s no sense doing the extras if you’re failing on the basics. It’s the same in our churches. I love innovative churches. (It’s in the masthead for this blog, after all.) But innovation only works if the basics are solid. In churches, as in restaurants, the rule is simple. Do good work. Love God, love people, preach the Word and make disciples. And doing what matters is all that matters.